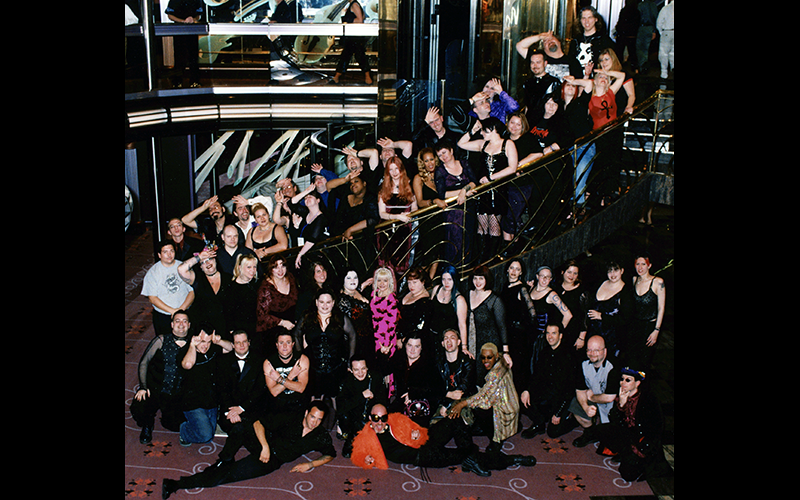 GothCruise 2: Too Much Angst for Just One Cruise sailed on January 3, 2005 from Miami for Grand Cayman and Ocho Rios on Carnival Imagination with 100 GothCruisers aboard. 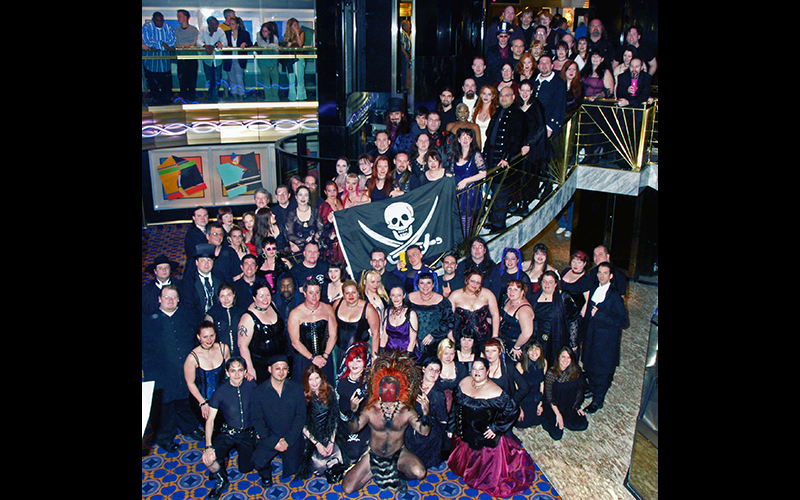 GothCruise 3: Once More Into the Drink sailed on January 16, 2006 for Nassau and CocoCay on the Royal Caribbean Sovereign of the Seas with 150 GothCruiser souls aboard. 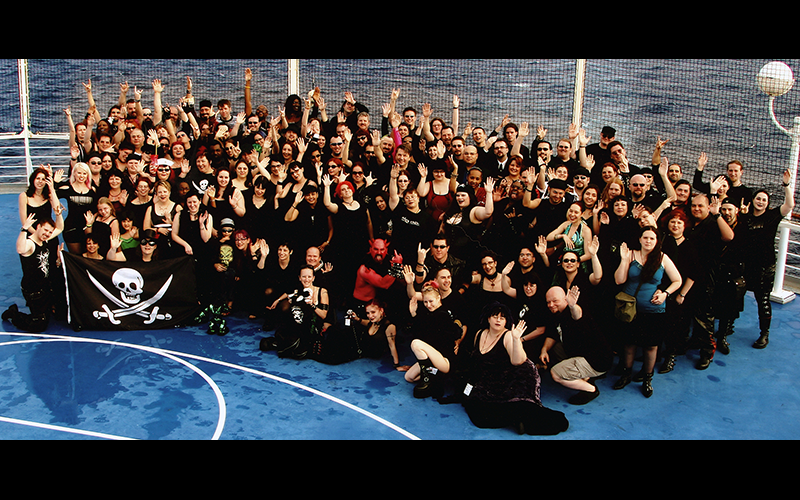 GothCruise 4: We’re Going to Need a Bigger Boat sailed on October 21, 2007 for Bermuda on the Royal Caribbean Explorer of the Seas with 110 GothCruisers onboard. 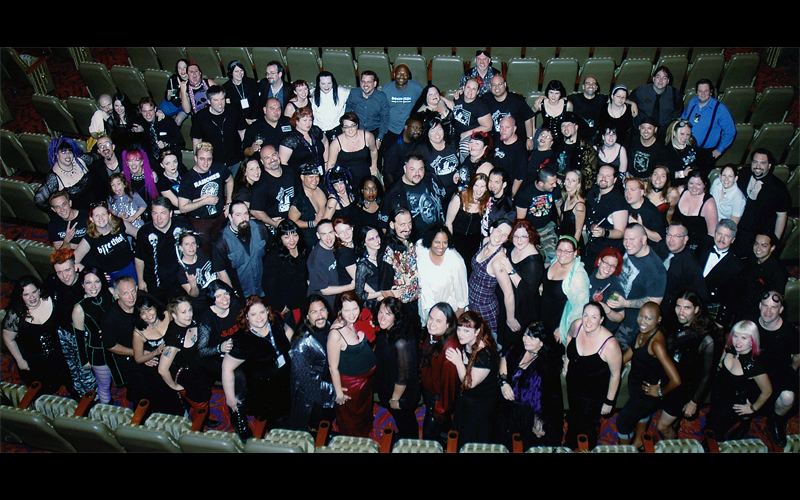 Goth Cruise The Movie was filmed on this voyage. GothCruise 5: The Barbary Coast sailed on November 22, 2008 on the Royal Caribbean Splendour of the Seas with 28 GothCruiser souls from Venice, Italy bound for Dubrovnik, Croatia; Santorini, Greece; Tunis, Tunisia; Malaga, Spain; Casablanca, Morocco; and Lisbon Portugal. 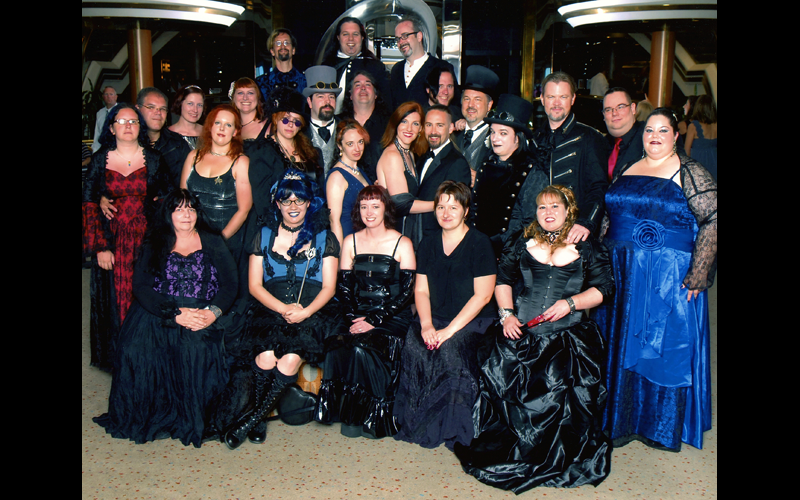 GothCruise 6: Noir Noir set sail aboard the the Royal Caribbean Enchantment of the Seas on September 28, 2009 carrying 54 GothCruisers from Ft. Lauderdale, Florida to Key West, Florida; Cozumel, Mexico and Belize City, Belize. 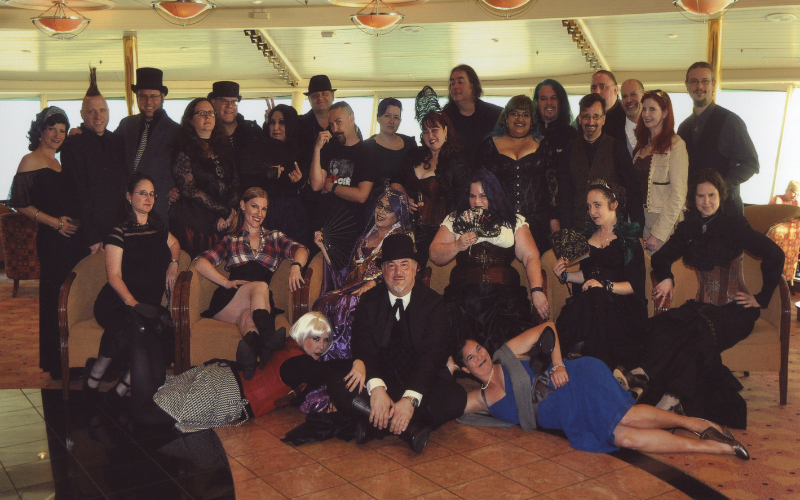 GothCruise 7: The Sinners and the Saints bound for the Virgin Islands of Saint Croix, Saint Johns, Saint Lucia and Saint Kitts from San Juan, Puerto Rico with 45 souls aboard the Royal Caribbean Serenade of the Seas on December 5, 2010. 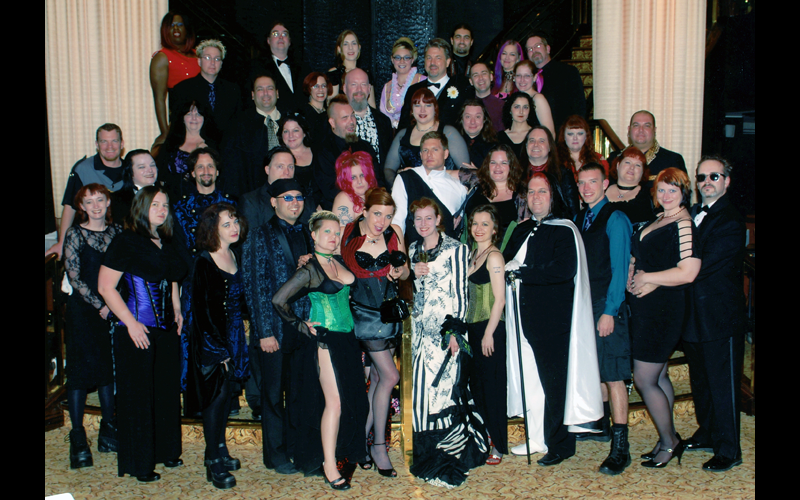 Thirty-one GothCruisers traveled through the Bermuda Triangle from Bermuda, St. Thomas, to San Juan, Puerto Rico aboard Celebrity Summit on GothCruise 8: Puttin’ on the Ritz on October 23, 2011. 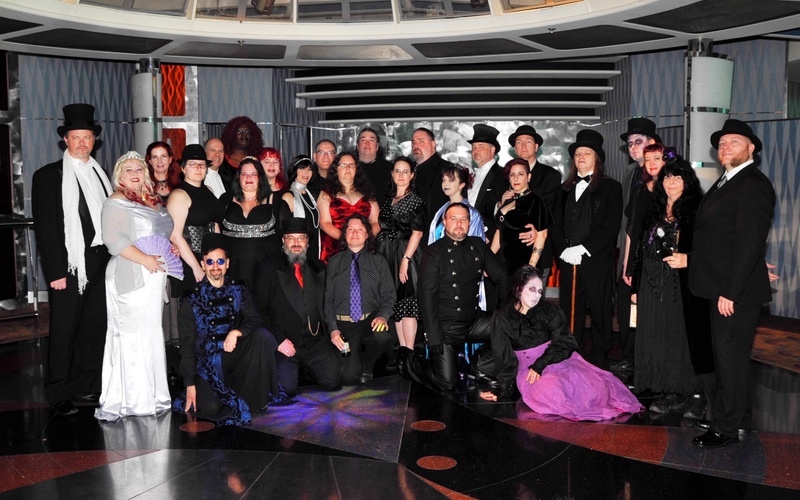 In early August 2012, GothCruise 9 From Outer Space! 29 cruisers visited Disney World and Epcot then departed Port Canaveral on the Royal Caribbean Monarch of the Seas for CocoCay and Nassau, Bahamas. Also on the agenda were trips to Kennedy Space Center and Universal Studios. 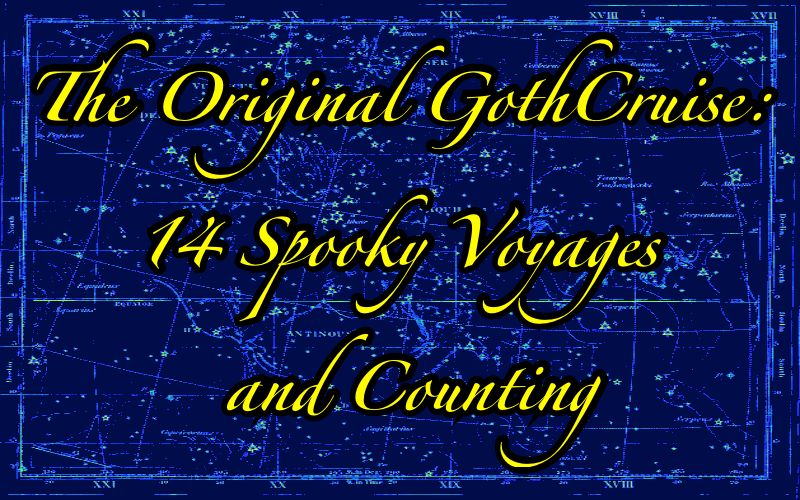 On Friday, August 23, 2013, the GothCruise 10 On Ice pioneered the trail to Alaska being first to take the Goths North, setting sail from Seattle bound for Juneau, Skagway, Tracy Arm Fjord and Victoria, British Columbia on a seven day voyage with 47 GothCruiser souls aboard the Royal Caribbean Rhapsody of the Seas. 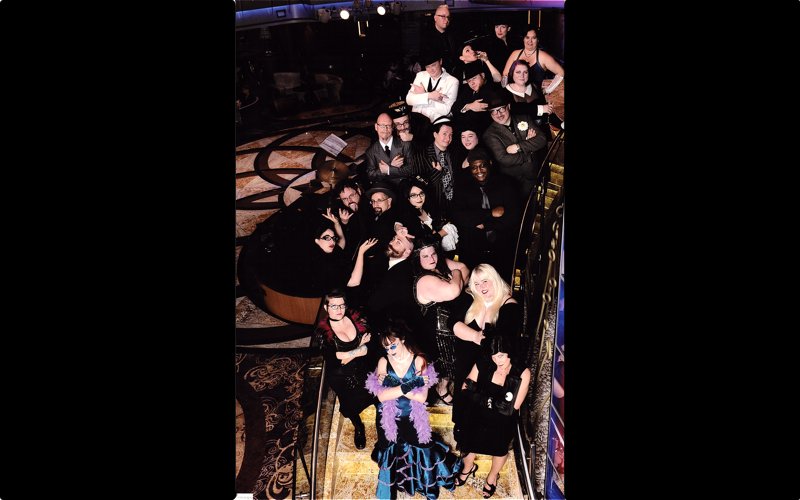 On Dec 14, 2014, GothCruise Goes to 11 cruised out of Ft. Lauderdale, Florida to Georgetown, Grand Cayman; Falmouth, Jamaica; and Labadee, Haiti with 27 intrepid GothCruisers aboard the Royal Caribbean Liberty of the Seas. 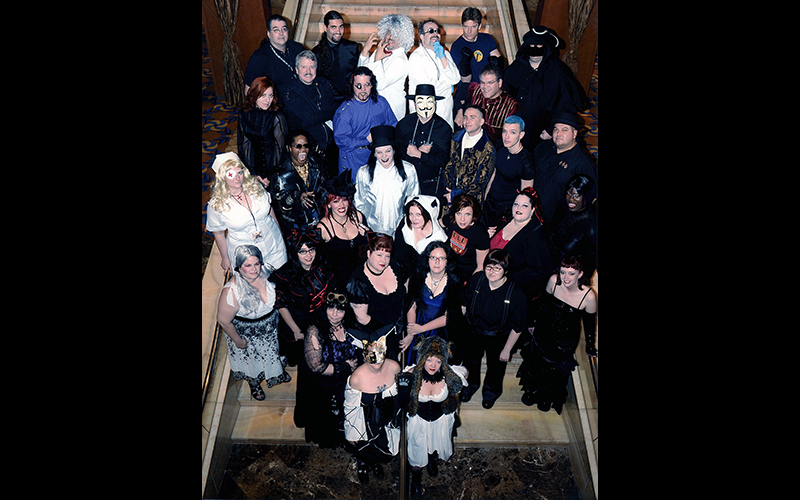 Setting sail from Tampa, Florida on November 14, 2015 GothCruise 12: The Return of Noir Noir voyaged to Roatan, Honduras; Belize City, Belize; Puerto Costa Maya, Mexico and Cozumel, Mexico with 23 GothCruiser souls aboard the Royal Caribbean Vision of the Seas. 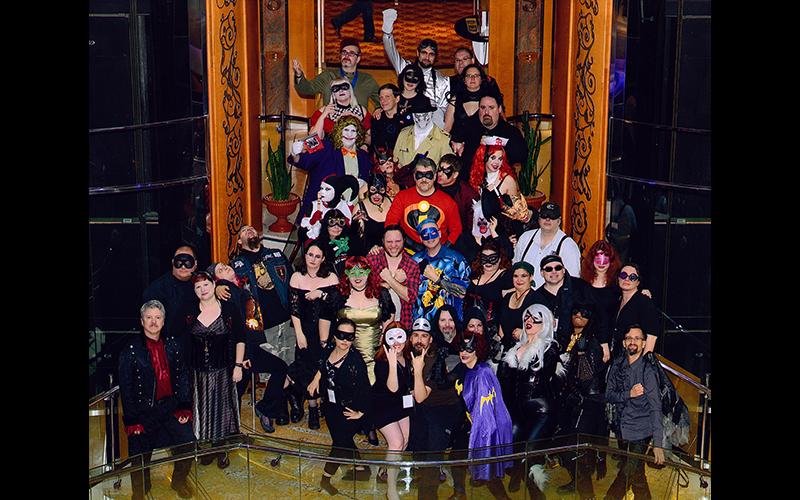 On October 9, 2016, GothCruise 13: Oh, the Humanity! 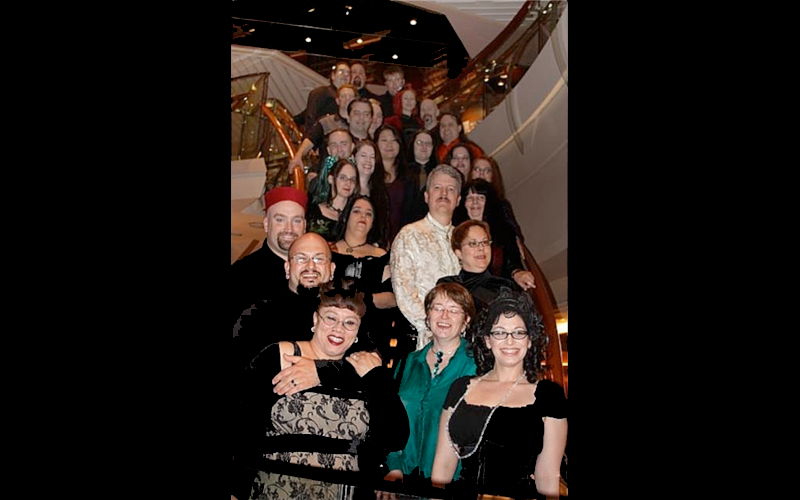 left Boston Harbor with 28 GothCruisers bound for Portland, Maine; Bar Harbor, Maine; Saint John, New Brunswick; and Halifax, Nova Scotia aboard Royal Caribbean's good ship Serenade of the Seas. 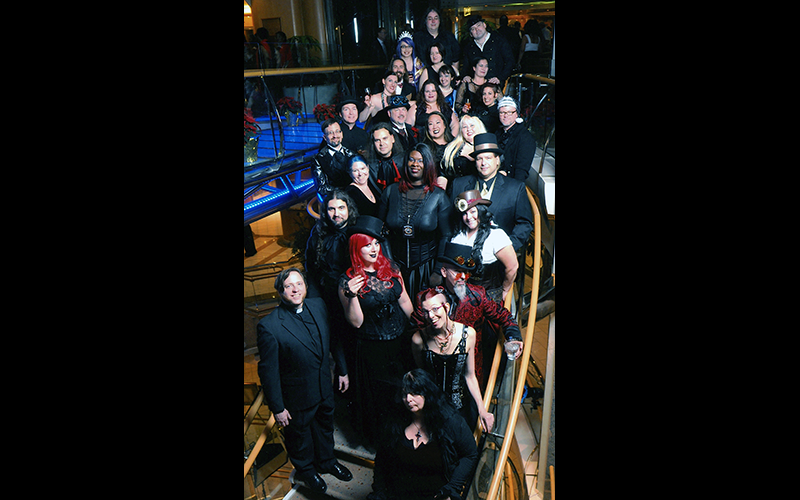 GothCruise 14: Greetings From Ghostwood sailed on Royal Caribbean’s Explorer of the Seas from September 29 to October 6, 2017 with 27 GothCruisers departing Seattle, Washington bound for Astoria, Oregon; San Francisco, California; and Victoria, British Columbia. 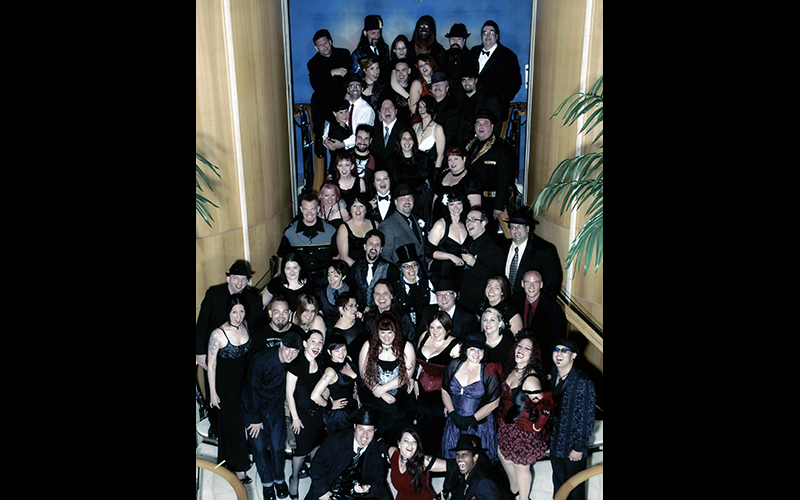 In San Francisco, our DJs took over the upper room of Death Guild for the first GothCruise Night Out!